You might call it love at first smite. 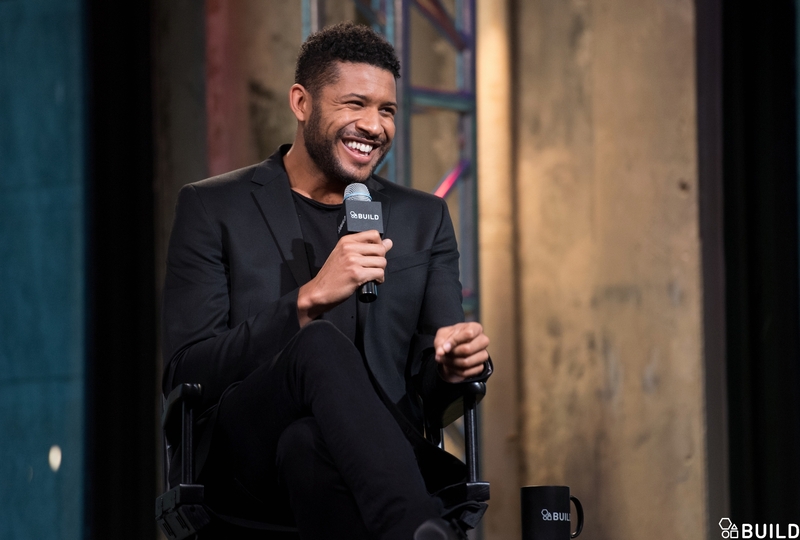 Lifetime's hit "unREAL," which debuts its second season on June 6, reveals the inner workings of a dating show that mirrors the long-running ABC hit "The Bachelor." 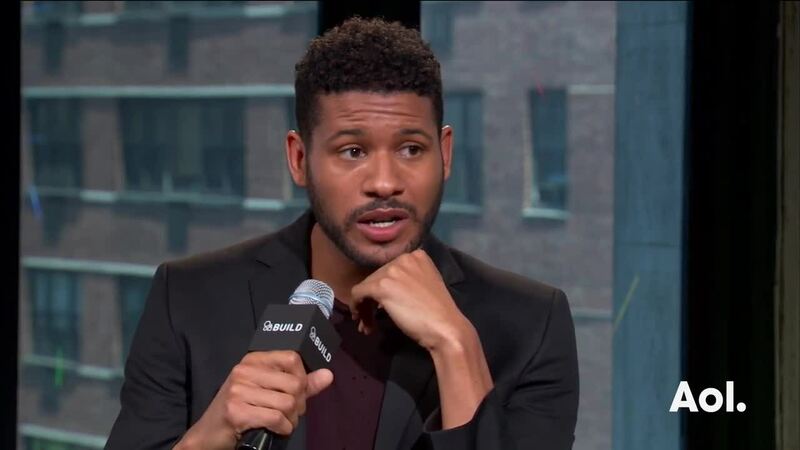 And Jeffrey Bowyer-Chapman plays Jay, one of the producers, a sharp-tongued take-no-prisoners operator who, this season, strangely finds his inner moral compass. "Last season he really went down a dark path. This year he's in it but not necessarily of it. He's surrounded by that energy of manipulation, chaos and drama. So this season, he's turned over a new leaf. He's quite political. He's very strong in his morals this year. He has to be able to look at himself in the mirror at the end of the day," says Bowyer-Chapman. In fact, he goes up against newly-named showrunner Rachel (Shiri Appleby) in one of her key casting choices. In this case, his ideals trump her need for ratings. The appeal of these reality dating shows is clear to Bowyer-Chapman, who himself didn't own a TV for a decade: "It's entertaining. Everyone wants love and everyone is seeking love. It's this big elusive thing. No one understands why sometimes it comes or doesn't come, why it lasts or doesn't last. Everyone can connect to that notion of wanting to be loved." In Jay's case, he's openly gay (as is Bowyer-Chapman) but it's not a major topic of the show, nor is it a plot point this season -- it just is who he is and part of his character. "He's always been out. What I love so much about Jay, is that not once this season do we mention he's gay. We present it in a matter-of-fact way. It's not what the show is about," says Bowyer-Chapman. He recalls being a fan of the "Bachelor" when it debuted in 2002. "I remember when it first came out, I remember getting together with friends and watching it. Jumping on the bandwagon. It was so new and nothing like it had been done on television before. The first couple of seasons, I watched. It's become such a staple in my zeitgeist," says Bowyer-Chapman. Plus, given the many ways singles now meet each other, who's to say TV is weirder than anything else? "In 2016, it doesn't seem that crazy. People are dating over Grindr and Tinder and Skype. It's not that huge of a deal," says Bowyer-Chapman, who's in a happy long-term relationship. Take a look at snaps from this season's "Bachelorette" below. THE BACHELORETTE - 'Episode 1203' - Still in shock after Chad stays as part of the group of 17 remaining men despite his aggressive behavior, the men feel the pressure as the competition heats up. Chase and JoJo go to a hot yoga class during the day, which ends with a surprise performance by country star Charles Kelly. A group of unsuspecting bachelors are about to come clean about their sexual experiences - in public! Meanwhile, Chad has reverted back to his hot-head ways, almost leading to fisticuffs. James Taylor is treated to a good old-fashioned swing-dance date, topped off by a trip to lover's lane. An impromptu pool party replaces the cocktail party, and the drama begins as one man calls Chad out for his bullying behavior, and Chris Harrison takes matters into his own hands. Will this be the end of the road for Chad? Find out on the special two-night event on 'The Bachelorette,' beginning MONDAY, JUNE 6 (8:00-10:01 p.m. EDT), on the ABC Television Network. (Greg Zabilski/ABC via Getty Images) JAMES T.
THE BACHELORETTE - 'Episode 1203' - Still in shock after Chad stays as part of the group of 17 remaining men despite his aggressive behavior, the men feel the pressure as the competition heats up. Chase and JoJo go to a hot yoga class during the day, which ends with a surprise performance by country star Charles Kelly. A group of unsuspecting bachelors are about to come clean about their sexual experiences - in public! Meanwhile, Chad has reverted back to his hot-head ways, almost leading to fisticuffs. James Taylor is treated to a good old-fashioned swing-dance date, topped off by a trip to lover's lane. An impromptu pool party replaces the cocktail party, and the drama begins as one man calls Chad out for his bullying behavior, and Chris Harrison takes matters into his own hands. Will this be the end of the road for Chad? Find out on the special two-night event on 'The Bachelorette,' beginning MONDAY, JUNE 6 (8:00-10:01 p.m. EDT), on the ABC Television Network. (Rick Rowell/ABC via Getty Images) CHRISTIAN, NICK B., JAMES F.
THE BACHELORETTE - '1201' - Successful and stunning real estate developer JoJo Fletcher, 25, gets a second chance at her happily-ever-after, choosing from twenty-six handsome bachelors. After being devastated last season by a shocking rejection from Bachelor Ben Higgins, who confessed his love to both her and Lauren Bushnell, the Texan beauty is ready to leave that heartbreak behind and write her very own love story as the Bachelorette. JoJo will embark on her own journey to find her soul mate when she stars in the 12th edition of ABC's hit romance reality series, 'The Bachelorette,' which will premiere at a special time MONDAY, MAY 23 (9:01-11:00 p.m. EDT), on the ABC Television Network. (Photo by Rick Rowell/ABC via Getty Images) JAMES T.